The National 4 March 2016: POLITICAL animals lined up with a giant cat yesterday at an event calling for more pet protection. Scotland’s first “manifesto for cats” was delivered to MSPs in a bid to influence policy ahead of the forthcoming Holyrood election. 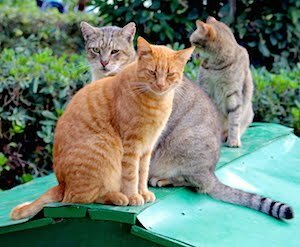 Charity Cats Protection unveiled a 10 ‘paw’-int plan calling for updates to breeding and sale laws, compulsory feline microchipping, an outright ban on snares, a cat database to prevent illegal imports and protections for rights of pet-owners in rented housing and care homes. There are an estimated 900,000 cats in Scotland, with 23 per cent of households having at least one. Christine Grahame MSP, who hosted the event, said: “As a cat owner myself, my cat Mr Smokey has been microchipped and I would encourage other owners to do the same. 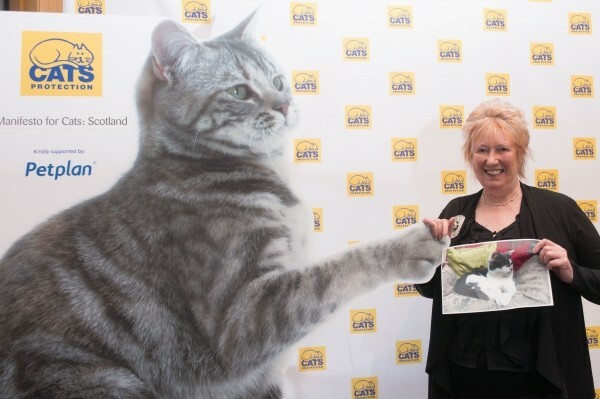 “There are many areas of policy where more can be done to improve feline welfare.” Cats Protection has more than 1,300 volunteers and 48 branches which operate alongside its Glasgow Adoption Centre.